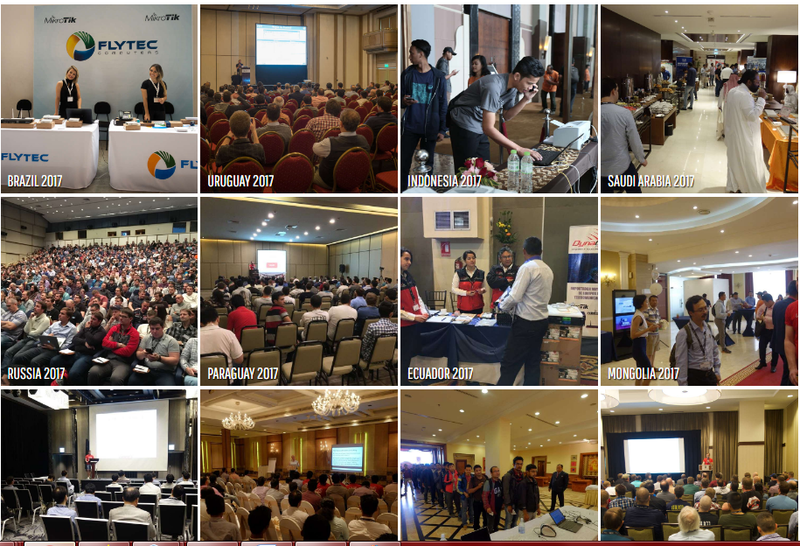 Mikrotik is glad to announce that MikroTik User Meeting 2018 will take place in the following countries and cities around the world come 2018. Contact: +86 28 8512 7777. Contact: +63 (2) 238 8888. Contact: (237) 222 22 64 57 – (237) 242 72 23 73. KENYA ON JANUARY 30, 2018. Contact: +254-20 3633137 / 3633220 / 3633000. RUSSIA ON MARCH 13, 2018. Contact: +7 343 253 1234. RUSSIA ON MARCH 16, 2018. EUROPE 2018 ON APRIL 05 – 06, 2018. EUROPE MUM is expected to be the Largest WISP conference in Europe. Anticipating more than 2,000 participants from 80+ Countries around the globe. MikroTik roadmap for year 2018. Two days of workshops and presentations. FREE hardware gifts from MikroTik and exhibitors. Raffle at the end of MUM with great prizes. FREE beer, wine and soft drinks. ← Asphalt 8: Airborne Racing Game.